As municipalities look to make their water and wastewater treatment equipment run longer with fewer operational staff on payroll to maintain the equipment, having a reliable aftermarket parts and service provider becomes essential. 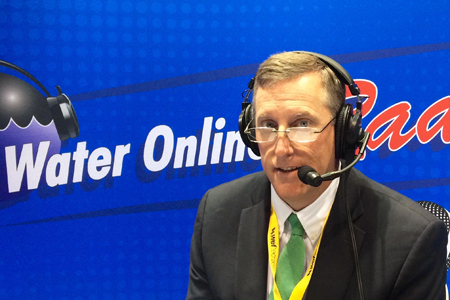 In this exclusive Water Online Radio interview, John Dyson, Commercial Manager for De Nora Water Technologies’ electronic chlorination and filtration product lines, explains how operator feedback can inform everything, from product enhancement to localized service and support. De Nora Water Technologies’ is the former Severn Trent Services water purification business, rebranded after acquisition in July 2015. Previously a joint venture partner of Severn Trent’s electrical chlorination business, Industrie De Nora acquired both the Severn Trent business and Ozono Elettronica Internazionale (OEI), a manufacturer of ozone generator technologies, to capitalize more directly on its research in the water and wastewater treatment markets.